News and Updates of all ThemeXpert products and activities. Our mission is to provide you a full-fledged Joomla page builder that will help you to develop your site in a faster and easier way. Therefore we are implementing new technologies and coming up with new features like QuixOptimize and Quix Rank. Today we are introducing ACL, one of the biggest feature that takes your site access control to the next level. We always pay heed to our clients and due to the request of one of our client, we brought ACL feature in Quix 2.4.3. This is a very unique and one of the wanted features that we need in regular life, therefore we implemented it in Quix 2.4.3. From the beginning, we tried to build Quix 2 unique and fulfill all your needs. You will not find features like, ACL, Optimize, and Rank anywhere else except Quix 2. What's New in Quix 2.4.3? ​Joomla ACL is also known as 'Joomla Access Control Lists' and it is one of the most powerful & popular features of Joomla. It mainly controls two things - 1. What a user can see on your website, 2. What a user can do on your website. You can place individual users into user groups, which are assigned with access control levels and assigned permissions. You can create tiered levels of access and control every user. Why Do You Need ACL in Quix? At this point, your curious mind might want to know, ACL is already available in Joomla by default then why I need it in Quix 2? You know the power of ACL and how it lets you control your user groups. Now you can control the user groups for specific sections, pages, rows, columns, and elements. Only specific people will be able to access or see the specified item. Guess you have a big shop with lots of registered customers and want to give a special discount to your registered users. How do you do it? Well, you can do it with Quix ACL very easily without any hassle. Just create the User Group that you want to show a special discount section from Joomla> Users> Groups. For example, I have created a user group named 'Gold'. After creating a group set its viewing access levels. Set the title of access level and select, which group of users can access the data of 'Gold' users group. I have selected Registered, Gold, Superusers and administrator. So now only these groups of people will be able to access the data of Gold users group. In this way create your own user group and viewing access level on your own terms. Now goto Quix and open your preferred page. Select the section you want to apply ACL and go to Section Settings > Advanced. Click on Acl and select the specified user group. You are done, now only that group will see that specific section. When you specify user groups in a section with Quix ACL, only that specified groups of users will be able to see and access that section. For others, that specified section doesn't even exist. In this way, you can control users easily. That's all for acl. Now let's check other new changes that comes with Quix 2.4.3. Moving images always works better than still images. You might be thinking of videos, but videos take a lot of space. Therefore we have brought gif support to Quix Media manager. Now you will be able to use gif images to your site directly. Along with gif, we have also provided support for .mov video files. Mov video files are very much popular for its lossless compressed quality. You will be able to use Mov videos directly to your site without any sort of trouble. With Quix 2.4.3 we have come with Video Pro element. With this element, you have more control over your video and users. Video pro element gives you different options by which you can enhance the video watching experience of your user. There are four new options in the video pro element - Controls, AutoPlay, Mute, and Loop. If you want your users to only watch the videos without any control, turn the control off and there will control option in your video for users. Similarly, if you want to play the video automatically turn autoplay on, for no sound turn mute on and if you want your video will run continuously turn loop on. Video Pro element makes it easier for you to show your video contents in the way you like. If you are looking for a button that will move you directly to bottom or up, then this option will help you. Smooth Scroll option enables you to move directly to the specific page without any sort of scrolling. Only one simple click is enough to move all way long. What's Improved in Quix 2.4.3? Image width Control: Previously there was no control for image width in person element but now we have added it. You can control your image in the way you want. Animated Header: In the animated header element, grid, alignment and position style improved. Default Width Added: We have added a default image width for Blurb, Call2Action, and an Image element. ImprovedStyless & Options for IE: We have improved behavior of Quix on internet explorer a lot. In earlier, version, some styles were broken and not working properly. Now everything is working fine and improved. Core CSS Improvement: Core CSS has been added to improve some output. ​In the next release, we are coming with something exciting that will boost your page building speed. Wanna know? Stay tuned with us and let us know your thoughts. If you have any query feel free to ask on the comment box below. Its the beginning of another new month and here we are in front of you with another exciting feature for Quix. We call it Quix Optimize because it will optimize the images of your site and boost the performance. 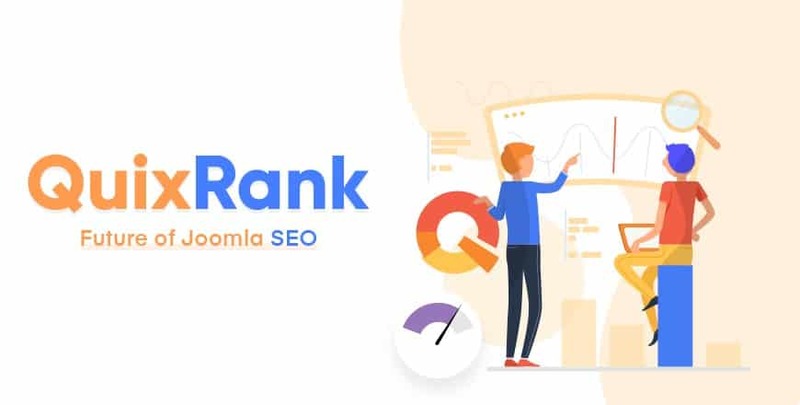 Last month we have released a devastating feature called 'Quix Rank', which helps you to optimize the SEO of your website by yourself. And now Quix optimize is here to optimize all your images with one click, without compromising the quality. You do not need to use any third party tool or any application to optimize your images. Quix optimize will do it for you and your valuable time will be saved. Let's see what Quix Optimize has brought for you. A large page usually becomes a burden for your site and the size may increase due to large images. It will slow down the loading on the end of your client's browser. This will hamper a lot in your web business and therefore image compression is very much important. 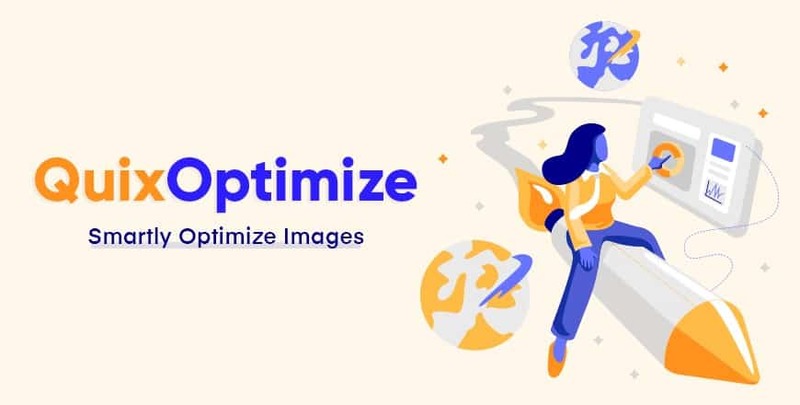 The optimize feature will compress all of your big images in a balanced way. With just one click and all of your images will be optimized. If you want you can control the quality of compression. Consider decreasing the value of quality from Global Settings > Quix Configuration, if the size is big. Then just get back to your page and click on 'Re-Optimize' and your images will be re optimized according to your preference. Optimizing images along with resizing for different devices and then placing them all over your site is very much tough. This will not only kill your valuable time but also take hard work from you. The srcset of Quix optimize will help you to resize your images automatically for different sizes of display. You don't need to do anything manually at all. One more benefit of srcset is, you can set different images for the same place in different devices. For example, you can set an image of a house for desktop size display, an image of a tree for the tablet size display and an image of a bird for mobile size display. You have the freedom to set any image for any devices at anywhere. WebP is a very popular lossless image format used in a website. This format allows you to optimize your images at a hence that it will look exactly the same but the size will be extremely small. With Quix optimize you can easily generate webP format image. Waiting is something that we all hate, in fact, a huge percent of your traffic might drop due to waiting while your site loads. This load time may increase for different reasons, one of the reason is loading every image at once. This problem can be solved with lazy loading as it loads the images as your visitor scrolls down the page. It will improve your page load time a lot. Facebook, Youtube, and a lot other major websites are using lazyload and now you can use it with lazy load. ​A brand new dashboard has been added with this version of Quix. In this dashboard, you can see the status of total optimization in one place. It will let you know how much space you save with QuixOptimize feature. You will be able to see your recent pages with SEO score along with image optimization status in the right side. Help board is now organized with more help contents and links. You can check your system requirements from here. If you are not up to date with the system, there will be cross icon rise up at here. So give your site a big boost with this new feature. In later time we will introduce more optimization and exciting features, till then stay with us. Let us know your thought regarding this new feature through comment box. Hello Joomla lovers! Hope you are having a good day. We are always paying heed to your needs and trying our best to fulfill those. To make your day, today we have an announcement for you. Our most demanded CUREX template got updated with Quix visual builder. Which means now once you download this template, you can use it with Quix 2.0's visual builder. 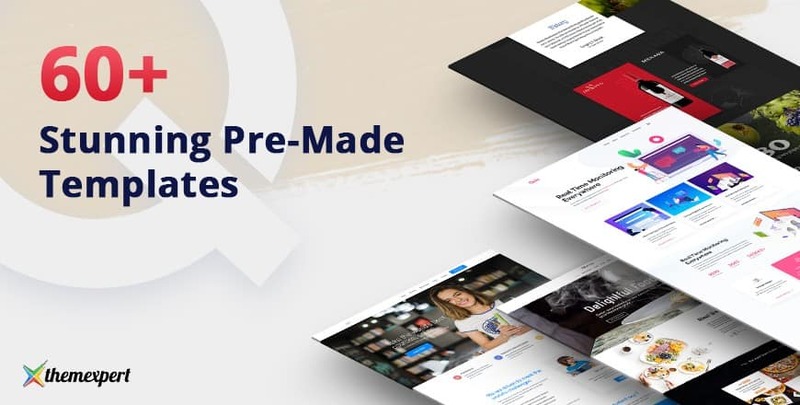 Quix Joomla page builder is the ultimate powerful source that gives you complete control to create a dynamic website in minutes. It comes with super flexibility, simplicity and is a very powerful tool to handle all the website needs. CureX is a Joomla medical template that will help you to build a website for Hospital, clinic, medical & healthcare organizations. ​It offers four niche specific homepage layouts, so you can choose the one that suits best and start developing right away. Quix visual page builder is the ultimate website building tool that helps to build Joomla templates and websites. With front-end editing options, now you can create a site just by visualizing. All you need to do is imagine and implement. Curex template was created in Quix classic builder. But on our clients needs and demands, we designed the template for visual builder too. Now Curex template supports not only Quix classic builder but also visual builder. You can work on any of them you want. The choice is yours. With this integration, you'll be able to not only design your beautiful site but also check its SEO optimization to rank top in search engine. You can make it appear in the front page of Google/ Bing just by following our SEO guidelines. Take a look at it now. We are developing Quix and improving its performance making it more powerful, flexible and controllable. Here are a few changes that we worked recently. Well, what are you waiting for??? Grab this opportunity today and get all the benefits of Curex template and powerful Joomla Page builder Quix. Let us know your reactions and suggestions via comment box. If you face any problem just let us know. We are happy to assist you. In the next update, a very big feature is going to be released. Stay to tuned to know more. Today we are here with a big list of changes in Quix. We have added new functionalities, improved previous features and fixed some bugs. Quix is now more feature rich and more functional. We are putting our best effort to make Quix better so that you have a better experience and make your website more creatively. 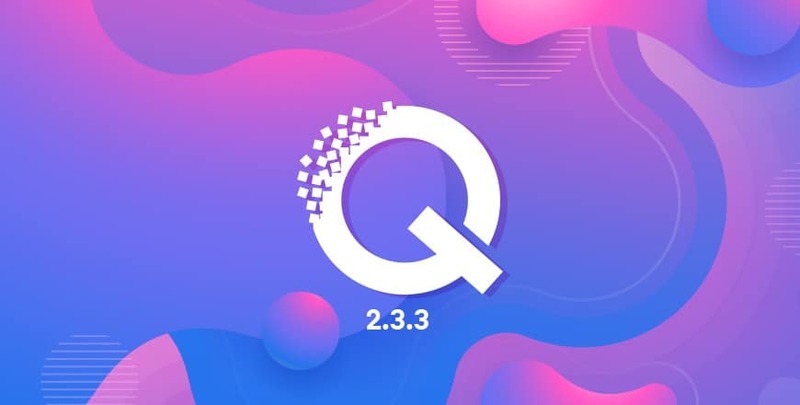 We will introduce more astonishing features in future but for now, let's explore some highlighted changes that Quix 2.3.3 has brought. Parallax got new functionalities! On CSS based parallax the background image would stuck on one position. But now with Quix 2.3.2, we have added JS based parallax. Your background image will also move according to the axis you provide. Apply new parallax and let your viewers enjoy this new effect. All the built columns of a section are automatically placed in the mobile devices in the same order. But sometimes you might need the reverse order, and doing so you would cost more time. With this new column reverse, you can reverse all the columns of a section with one single click on mobile devices. Countdown element now allows you to show grid line on mobile. Previously it was only allowed on desktop only but now you can define the grid on mobile as well. Define how many grids your countdown element needed, but you can set a maximum of six grid. Facebook is very popular and very important for business nowadays. When you develop your site with Quix facebook crawls your page and takes data in its default way. But now you can give some specific data to Facebook in the way you want. Open Graph metadata structure changed to the latest. With this latest metadata property, you can set specific type, site name, title, description, image, and URL. Previously after altering anything within builder, sometimes you might have seen improper changes. These are not your desired changes. We have seen that this improper changes mainly occur due to the previous cache. With this update cache will be automatically cleaned, whenever you click on 'Save' button. You will see exact changes you desire in your site. Let us know your reactions of the latest update through comment box. If you face any problem just let us know. We will happy to assist you. In the next update, a very big feature is going to be released. Stay to tuned to know it first. Today we are extremely excited to release the brand new SEO feature for Quix. With this new SEO feature, you can analyze your web page seo performance, optimize it for better search engine ranking. Our SEO feature is unique and incredibly easy to use. You can check and optimize your page seo without leaving the visual builder. With our guided SEO tool, no need to be or hire any SEO experts. Now you can get more visitors from Google, Bing and any other search engine by following Quix SEO suggestions. Enter your primary keyword and check your SEO score real-time. Your page title and meta description are key factors in improving your website's search engine presence and click-through rate. With new SEO tool, you'll be guided to create best title and meta description. Forget the guesswork and see it live, how your user will see the search result in Google. You can customize the result realtime without touching a single line of code. Internal linking is very important for your site. Both search engines and users use links to navigate through your site and search the content they want to find. This assessment will give you score for internal links within your content. Moreover, adding internal links will allow search engines to find out the type and value of your content. The more links your page has the more important it will be to search engines. Outbound links are those links which refer to another site from yours. This assessment will check if you have any outbound links in your content. Outbound links help one site to relate with other and helps to found easily by users & search engines. By helping each other a little we will be able to connect the dots of the web. This will allow Google to increase the authority of your site. ​This assessment checks whether your page has focus keyword and whether it is too short or long. Google likes long tail keywords rather than short ones. Posit, "page builder" is a small keyword with two words and "best free page builders" is a keyword(longtail) with 4 words. As the first keyword is already available in the second keyword and it's a long tail keyword, Google will give more value to the second one. It will help you to boost your SEO. It is wise to use long tail keyword but if it doesn't go with your content then you can use short ones. The meta description is very much important for two reasons - 1. Increasing ranking, 2. Increasing click-through rate. The more good meta description you have, the more your traffic increase. In meta description, you can put as much as the character you want. Then what is the need to maintain the length? Actually, if you put more than 140-155 characters, extra characters will be cut up automatically. If you put less than 140 characters, your meta description might not attract any users. Therefore it is important to maintain the ideal length of the meta description. The length of your post's SEO title is checked with this assessment. When people search in any search engine they see the results with a matched title and description. This title is called SEO title. This title needs to be ideal(60-70 characters) in width and contain the focus keyword. The more optimized the title the more quickly this post will rank higher in the specific search term. Title catches the eyesight of the users and when they are attracted they will click through your page. Function words in keyphrase assessment checks, whether your text consists of keyphrase and warns you if there is not. For example, you might get distracted while typing your keyphrase and you only entered "the" instead of "the best page builder". Quix SEO option will warn you that, the keyphrase choice of yours is suboptimal. The first paragraph of your content is the key location for both your search engines and users. It grabs the attention of your users and Google also considers this as an important one. The focus keyword in the first paragraph gives specific clues about your article to search engines. Sometimes Google uses the first paragraph of your content as the meta description of your page. This assessment makes sure to use the focus keyword in the introduction. Make sure your content introduction reflects accurately what's it about and include the focus keyword there. You have heard about the focus keyword. The ranking of your post depends pretty much on it. Google uses focus keyword to understand about your post, you have to put the keyword throughout the text in a balanced way. This will help you to rank your page for a specific term. Quix SEO's this assessment will tell you whether the keyword is distributed throughout the text. Green signal means, distributed correctly and read signal for wrong distribution. You will be able to see all your specific keyword with a single click in this assessment. Then you can increase or decrease the density of the keyword. The image alt attribute is also known as alt tag or alt text. It shows the description text of the image. Probably you have heard a saying "a picture is worth a thousand words", your article will become a lot more attractive to viewers with images. But how google will read it? If you add an alt text to the image just describing in a few words, any search engine will be able to easily read it. It will improve the ranking of your image search. That's why it is important to add an alt tag to images. To rank well in the search engines, a blog post should contain at least 300 words. Long posts will get easily ranked rather than short posts. From posts more than 1000 words, search engines get more clues to determine what the text is about. This assessment will make sure that you write the minimum words and will give you a green, yellow or red signal. Knowledge graph fetches the necessary information from your webpage and presents them in a beautiful way. With Quix's enhanced SEO plugin, you can provide all information in one place so your website rank for more keywords and command a larger area in the search result page. We hope that this brand new feature will ease your workflow and save your money. In future updates, we will enhance this feature much more. Don't forget to tell about your experience and thoughts, just express it all in the comment box. If you are web developer then you must know how a template helps you to design a website easily that too in no time. With the help of a template, you can easily style up your site and don't have to work on the whole design. You can just edit the contents and still make a beautiful website. And templates combined with an extension is even better. An extension helps you to work smoothly adding external functionalities. It makes the template work in better way and even can change the look of the template. Today, we are here with some good news that is related to both template and extension. Now Meteor Magazine Template is integrated with the most famous extension EasyBlog. Yes, that's true. Now you can append your easyblog articles in Meteor template with just a click. Quix is one of the best Joomla page builder that helps you to create a page from scratch. If you don't wanna work hard and crack your backbone then template is a smart choice and Quix is compatible with any Joomla template and with Quix you can edit the template just the way you want. Quix classic page builder is still available for our precious users who are comfortable working with it. It has 50+ elements and works great with every Joomla template. Quix classic builder is the trusted choice from starting to our clients and still doing great. The updated version of Quix classic builder is Quix 2, brought to you by ThemeXpert is the visual page builder that works much faster, smoother, better than the classic builder as it allows the user to see the changes in real time. It works in frontend and you can decorate your site by just visualizing it. Now a days, people love to read e-magazines and blogs. It gives them complete information on the latest updates and trendy news in different fields. But it is tough for the developers to design that kind of site and make everything perfect. And making a big site with high functionalities is not an easy task. So to save your time, money and effort, we developed Meteor template which is a magazine based and works great for different informative sites. It is an excellent choice for newspaper, magazine, publishing or review site. Meteor comes with a mobile-first-design, AMP Support, 4 article layouts, 8 Article Element layouts, 8+ Header variations, EasySocial ready, and much more. Has T3 framework which gives you to total control over template layout, module positions, css/js optimization etc. Flexible with other extensions and frameworks. EasyBlog is the best Joomla blog extension which empowers more than 80,000 Joomla web sites and blogs. Easy Blog can be used to manage your personal blog, company blog, category blogs or even team blogs. All-in-One blog component having tons of features. Great for managing workflows, team blog and group blog with extensive ACL flexibility. Top quality products backed by a team of experienced web developers. Most popular Joomla Blog component that professional and novice users love. Meteor template is an element based template. Our development team has created some specific element specially for Meteor template. This makes the template more attractive. Since it is a magazine based template, one of its significant element is Meteor Articles. Now, a few question might evolve in your head like - what is it is and how does it work? Why did we insert it? Meteor template is mainly used for blog site or news site. To insert blogs in site, you have to write Joomla articles, then integrated with the template layouts and set everything in position. After inserting, you can edit them, modify them, add animation to them and go for publish. Now all these process are not easy and comfortable for everyone. Not everyone knows the process for Joomla article integration and novice has to learn them in the first place and only after that they can use it. This takes time and and effort. To rescue them from all these troubles we implemented Meteor Articles element. This element will help you to insert Joomla blogs in one click and allow you to bring the modifications in no time. With this element, you can insert any of your Joomla articles and show them in different styles. You can make them grid base, list base, carousel type etc with styles and animations. And now, this exclusive template just got integrated with EasyBlog. Which means, now you can add your EasyBlog blogs just like Joomla articles. You don't have to go through any other setting and mess-up everything. All you need to do is just choose EasyBlog as content source and select what type of blog you wanna show. It has so many countless features in it. Some of them are given below. With the help of decorative layouts, now you can give different looks to different pages and make your site more appealing. Our smart and creative layouts work just like a helping hand. All you need to do is select the layout and save it. These layouts are described in details so that you can get a clear idea on using them depending on your need. List layout will show your blogs in a listed manner. Every content will be organised with the bold title and hovering cover image. This gives the viewers a slight information about the whole content and attracts reader to check each and every content. You can use this layout to stick your viewers with the content and make them want more. This is one of the best layouts I gotta say. Featuring latest news on top with a huge area makes the page look awesome. And the rest blogs are listed below following the latest one. You can control which post to display along with time and date configuration. This one is my favorite. It's almost like stack list but shows in more than one column. You don't have to set the column size or take the trouble of margin and padding (i.e, spacing inside section). It will adjust by default. All you need to do is just select the layout option, and you're done. Just that simple. Column list layout will allow you to show the blogs in 2 separate columns. In one side the latest news and the older ones in other side. This layout also looks cool in site and gives the viewers the idea of the latest news and helps them to decide which content to read first. List Carousel is the blog designing layout where every content lies one under another saving the space and slides on click or autoplay. This is a different look for blogs but a cool one. You can set your blogs to autoplay if you want or just use the classic one click slide. Grid layout is where your blogs will be scattered in the page but in a proper aligned way. This layout has the default setting of displaying blogs in small size of cover images and option to set how many columns you want to show one row. This layout is also a nice one. ​Once you select this layout, you'll notice all the blogs have turned into big size cover images and the contents are lying beneath the images. This layout helps your visitor to see the images much better. This is a good choice if you want your visitors to get attached to the images and then select the contents for reading. I must say, this is the most different layout you've ever seen. This layout will display the selected blog in the background and all the other blogs will be displayed in the slide show manner. Your visitors can select the content to read but yet they'll see other blogs too. This is good cause it'll make them want more. They'll go for other blogs too. You can choose this layout if you wanna keep your visitors busy with your content. Since Meteor is a magazine template, it was only functional with Joomla articles. You could only publish Joomla articles importing from source file. But not everyone was happy with it as not all of us use Joomla articles for blogs. Some use easyBlog extension for easy and flexible functions. But EasyBlog articles couldn't be imported in Meteor and it would be tough for them to redesign the contents and make everything adjustable. So, we solved that issue for them. Now we have EasyBlog extension integrated with Meteor template which will allow you to import your EasyBlog blog posts and easily publish them in your Joomla site. This will save your precious money, time and effort of redesigning. You don't have to enable or disable anything. All you need to do is, after installing your template, you can select the source file from EasyBlog and insert it. Just that simple. Now you can write better blogs and articles and don't have to worry about showing them in your site. All you need to do is just write the filename and select the source file from EasyBlog. Your selected blog will get imported to that section. This functionality reduces most of your tasks and makes your site flawless. And you can add images, videos, charts, animations in addition to your blog that will make your content more attractive. With the change of time, we are changing many things. Currently, we have integrated Meteor template with EasyBlog extension. And in future, we'll expand this field to a new length and make it more adjustable and comfortable for our clients. You can use the comment section for suggestions and advices. And also get connected to our facebook page for updated news. Developers always come with new tools and features to amaze us, and this time they have arrived with Gutenberg WordPress editor. 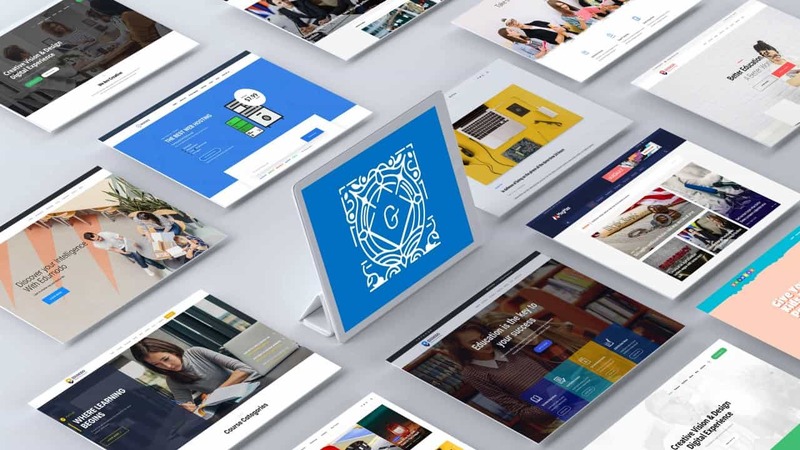 Gutenberg is similar to other visual content editor and made to give an opportunity to experience enjoyable and simple web design creations. Gutenberg comes with a number of blocks, which you can use by simply dragging around the page. It is a magnificent choice for content creation as it comes with intuitive drag and drop interface for all users. Today we will provide you with a list of premium WordPress themes that come with the compatibility of Gutenberg editor and other premium plugins. Let's check out these themes. Are you are looking for a theme which will help you to develop an excellent website fully dedicated to teaching, learning, & selling? Well, then Edumodo can be your greatest ally. With edumodo you can manage your courses and students very easily, as it comes with the support of the three most popular LMS. These are LearnPress, Sensei, & LearnDash, you can choose any of this lms you prefer. Edumodo comes with all the latest features and functionalities. The developer team is always ready to include the latest functionalities and therefore Gutenberg is supported with this theme. Yes, you heard right. Edumodo comes with 3 most popular LMS support. Choose one that you prefer to work with or previously you have worked with. You can easily create, manage and sell courses with Edumodo. If you do not like to use any LMS, you can use the default course management system of Edumodo named "TXCOURSE". Enroll new student or remove student is just one click away. Your students will be able to see their progress and will also be able to study by themselves. The most interesting feature of Edumodo is you can sell your courses as products, and also physical goods. Edumodo lets you schedule and grade quizzes automatically. All you need is a little configuration and you are done. Rest will be autonomously managed by Edumodo. Currently there are 10 + layouts come with Edumodo, more are in the way. These layouts include - University v1, LearPress v1, Sensei, LernDash, University v2, LearnPress v2, Language School, RTL, Fitness Trainer, and Kindergarten. Each of these layouts are built for a specific purpose. 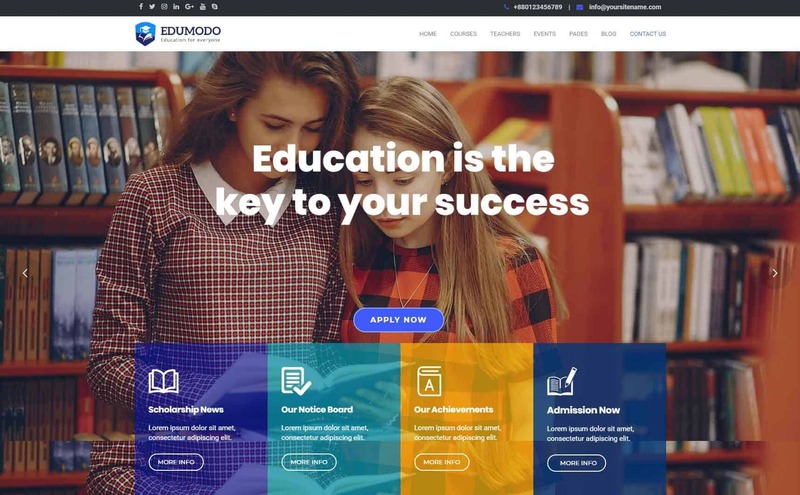 You can build any kind of school, college, university, kindergarten, language school and any educational institute site with Edumodo. Choose one layout and import the entire layout with a single click. Every inch of Edumodo is entirely mobile responsive and can adapt perfectly to any sized display. Besides responsiveness Edumodo also comes with RTL & Multilingual, that means you can give any language support to your website. Give your international users a home feeling with RTL & multilingual option. Not only with beauty but Edumodo also assures the performance of the site. All the codes are written in Edumodo are fully optimized, no vague codes are used in it. Besides Edumodo is fully SEO optimized you don't need to work much for getting your site ranked. If you ever face any trouble just knock at the support team of Edumodo. They are always ready to solve your problem and help you. 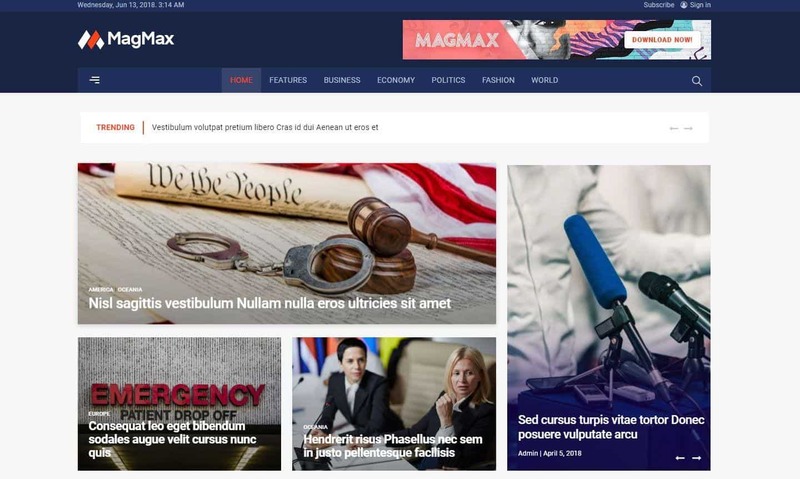 MagMax is one of the best themes for developing news, magazine and blog sites. It comes with the compatibility of Gutenberg and all the latest features. It will help you to create a straightforward website within the shortest time. There are a total of 5 elegant layouts that come with Magmax. Each of these layouts allows you to create a unique site within a single click. These layouts include classic, fashion, sports, tech, news week and default layout. When you create your site with any of this layout, you are not limited only with it. There are a huge collection of blocks come with MagMax. You can insert any blocks at anywhere you want, use them according to your need. Magmax comes with amp support, therefore your site will be instantly loaded on devices. No matter which devices your users use, your site will be loaded within a blink of eyes. Besides, to boost the performance, highly clean codes are used in MagMax. All the codes of Magmax are written by the developers with 9 years of experience. SEO helps you to stay on top of the search result, for this reason, MagMax comes with SEO optimization. You will be always one step ahead of your competitors. Megamenu helps your client to jump at specific content very easily and faster. It's entirely up to you to arrange it with multiple columns. Your clients will be able to browse specific section quickly with help of mega menu. In earlier, creating different types of the post was might be difficult, but now its no more a reason for anxiousness. You can define your preferred post type with Magmax theme. Your website and everything is under your control. If you're looking for a hosting theme then Hostzine would be the perfect choice for you. 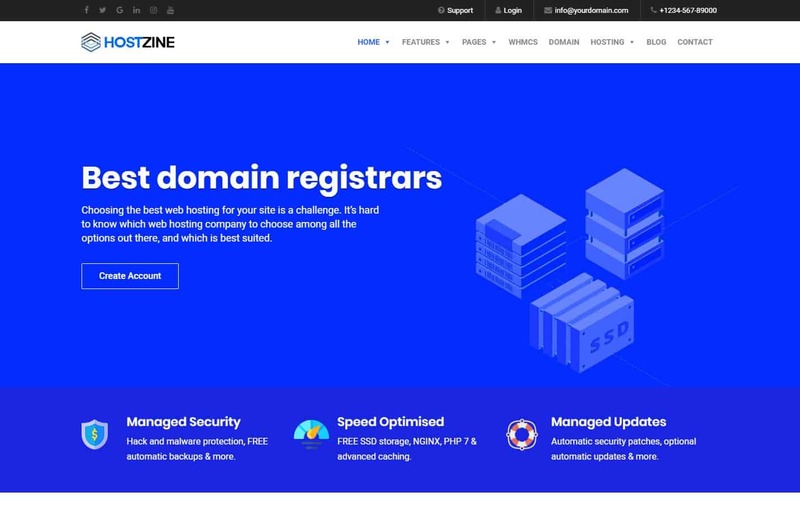 With a clean design, responsive by nature and integrated WHMCS, Hostzine is the perfect theme to build hosting a website with. It comes with drag & drop Elementor page builder and an array of homepages, pre-set pages and much more. Hostzine is compatible with plugins, frameworks and other add-ons. Moreover, it supports almost every browser including IE11, Firefox, Safari, Opera, Chrome, and Edge. Nowadays, everyone wants their site to be SEO friendly. No one wants to fall behind. Hostzine cares for its client in the same way. That's the reason the developers made it SEO optimized. Hostzine follows Digital Marketing discipline and has growing visibility in non-paid search engine results. SEO helps your site to rank up in Google search. And since Hostzine is SEO optimized theme, you don't have to worry about ranking up. It will do its work in that field. Plugins make the working system more flexible adding additional features to the template. It's no use to work on a template if that does not support any plugin. That's where Hostzine makes it easy to work with. As reported it supports Gravity Forms 1.9.x, WooCommerce 3.2.x, WooCommerce 3.1.x, and Bootstrap 3.x plugins. And it is compatible with other frameworks too. This is a smart world and everyone uses a smartphone. What's the use if your site does not show up on the mobile screen? Not everyone likes to surf in desktop or laptop, right? To overcome this problem, the developers ingested mobile responsive feature to it. This allows Hostzine to act in accordance with the size of the mobile screen. The mega menus will be adjusted, the demo contents will response in a step by manner. Overall, you don't have to worry at all. This elegant template will do half of your job. All you need to do is, select the desired demo, edit the contents and make it available for your visitors. Deviox is a very trendy and stylish multi-purpose business WordPress theme that comes with a fresh, clean design. You will be able to create a dazzling business site by yourself within minutes. This theme is entirely optimized for such plugins as MailChimp, Revolution Slider, Essential Grid and other add-ons. Deviox comes with mobile responsiveness, your developed business website will be visible in every small device. You do not need to work hard for and make your site responsive separately as the Deviox do it for you. The desktop site comes with swipe effect in all scrollable section. This swipe effect is also supported in mobile devices. This theme uses most popular "Revolution Slider", so you don't need to worry about page breaking. Develop in the way you like in the shortest time and relax in the rest of time. With the Deviox theme you get ThemeREX Addons plugin absolutly at no price. You can maximize the features of this theme with this additional add-ons. One of the great feature of this ThemeREX addon is, it lets you build header and footer. It will take only a few clicks to create and customize your header and footer. Deviox comes with the full compatibility of WPBakery Page builder, you will be able to build any sections in quickest time. You do not need to write any line of code to develop your website, only drag and drop is enough to develop the site you want. Deviox theme is developed by ThemeREX and comes with an awesome support team. They are ready all the time to provide you support. If you ever face any problem just knock their support and they will solve your problem as soon as possible. This theme also comes with proper documentation, so at first you can check out the documentation and then ask for support. If you are a professional dentist or want to develop a site which is dedicated to dental or any other medical services than ProDent is the best choice for you. This theme aims to showcase your skills in the best light. Prodent comes with one click demo import option, therefore you don't have worry about importing demo. Just single mouse click and a few moments will be enough to import an entire demo. It's a very easy process, after installing the theme and required plugins all you have to do is select the demo and click the import button. If a website is not same on different devices then that website is not responsive. But your site made with Prodent will look exact same on each and every device, no matter how small or big that is. From top to bottom, everything of the layout is optimized for mobile devices. Even the sliders of Prodent is also responsive as the sliders are made with Revolution slider. All scrollable sections support the swipe effect. Your site will look amazing on mobile devices. This theme comes with easy customizability options, there is no hard procedure or settings involved in this theme. You can easily configure this theme in no time and if you need any kind of help you can check its documentation or knock the development team at any time. In Prodent, the integrated html code meets the best SEO approaches. It will be very much easier to rank your website in the search result. Every code of this theme is written by the expert developers and optimized in a way to provide you with the best performance for your website. Lets welcome the new editor and adapt new functionalities. More Gutenberg related posts are on the way, stay tuned. If you have any queries don't hesitate to ask, just drop your comment on the box below. "Why should I use it??? What does it have that other page builder doesn't? Why should I even give it a try?" Most of us think like this before taking any step towards something new. Even in case of taking vitamins. This is natural. We always want to make sure that we get a better product, a better service at an affordable price. This is what Quix is about. You'll get the most easiest user interface to work with. Quix has simple look but dynamic working system. And Quix is all about making best templates and designable websites. And with Quix Pro, you'll get the all the necessary elements, features, functions and services that you need to create a marvelous website. As you know, we are adding new elements, features and methods continuously to reduce your workload, you might also notice how they are really helping you. And after gradual testing in different browsers and operating systems, we release the updates so that you can enjoy every bit of Quix. And today we are here with another new element that will add new visualization attracting visitors. This element is Slider Pro. It will allow the images or text to slide on click or automatic after a period of time. Let's take deep look at Quix slider element, shall we? 'Slider', what do you think of it when you read it? In the field of web development, slider means to slide an object. This object can be image, video, text etc. Saving up space and dynamically changing of images or texts, makes a slider more desirable element. The best way to build a bridge between you and your visitor is an awesome content. Write the post in a manner that your audience will ingest it and will keep coming back for more. But what about those visitors who find the post boring and rush to the ending of the post? How to keep them stuck to the post and drive them crazy to take a closer look? Well, decorate the content with some exclusive designing option like slider, media carousel, testimonial carousel, form element etc . A slider holds multiple posts but displays one at a time, transitioning from one post to the next automatically or at the click of a button. This makes the site look more interesting. Slider is not new in the web world. It's been in the field for like 10 years. But it was not an easy task to make a slider with codes at that time. But now, it's just a matter of minutes. Thanks to page builders who have reduced the tension of writing raw codes. But, are you happy with any kind of slider? I mean, if you can design a professional slider with the same cost of a simple slider, would go for the simple one? Think again. Here are a few difference between slider and slider pro. This will give you a clear idea on what I'm talking about. From the difference given above, you'll get a slight idea on what slider pro has. Let's see how it will benefit you. You can control over each and every slides and its content. Add arrow, dot and thumbnail as a slider navigation. Have horizontal and vertical position control. Control slider behavior where fixing autoplay, loop, slider speed etc. Can add, edit, delete slides whenever you want. Add title, content, button and image. Slider Pro is built with so many exclusive features that makes it irresistible. These features are listed below. To give a clear idea on Quix slider, we are sharing some of our exclusive designs. 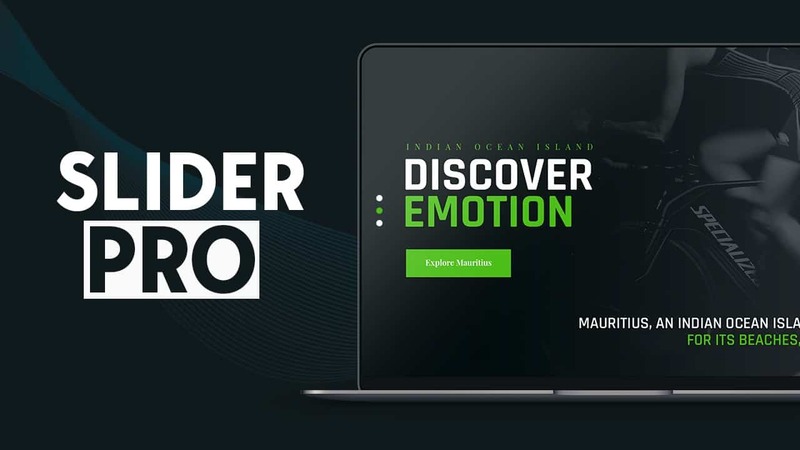 These designs will show how stunning designs you can make by a slider. Here you'll find the details of all the settings options and how to use them. Share your experience with us in the comment box and provide your suggestion, advice and help us to improve more.